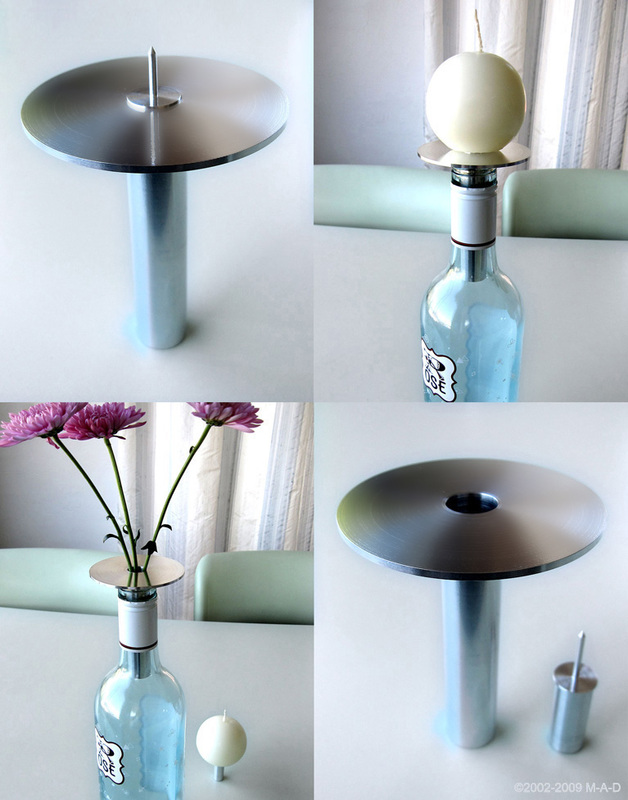 Bottle-top/candle-holder. 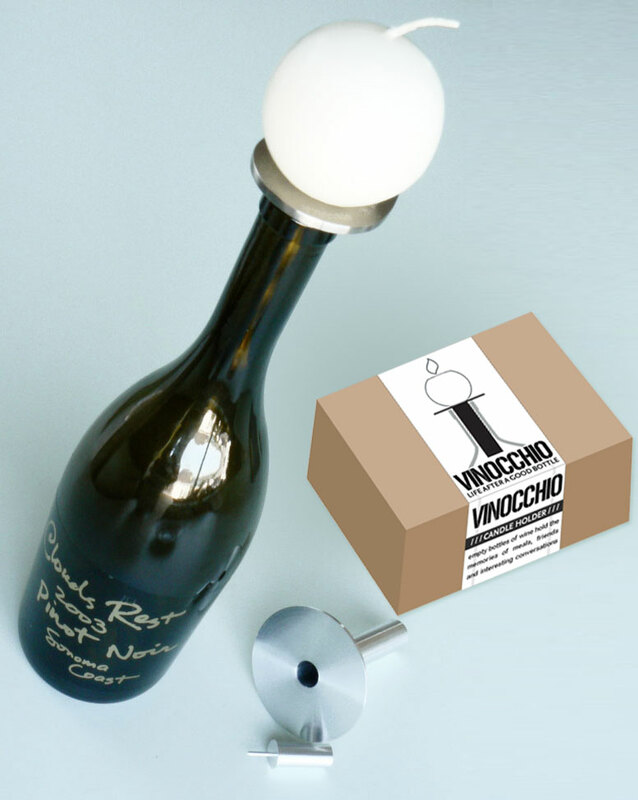 Repurposes bottle and illuminates friendship. Product design and packaging by M-A-D.